Welcome back and Happy New Year, gentle readers! I would lay money that every one of you has some experience with the game show Jeopardy. You may be an avid fan like me—never missing an episode, trivia galore crammed in your brain, calculating how much you would have won if you only had the drive to audition—or you may just hate the damned thing and watch Family Feud instead. This group show brings light to that which is often hidden. 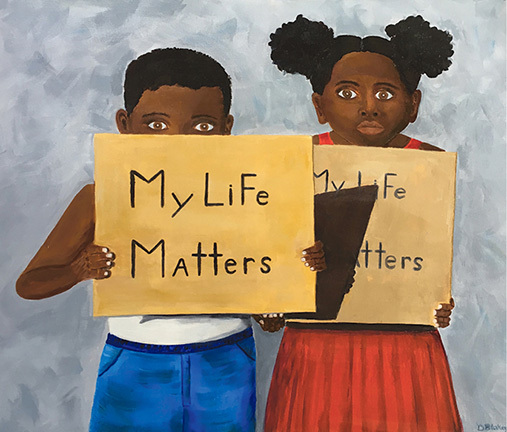 Artists share works that express their personal interpretations and bring focus to long-silenced truths, lending their voices to that which must be heard. Coastal Camera Club members explore fine art photography, share their work, and offer interpretations. Free and open to the public. Call for Art! 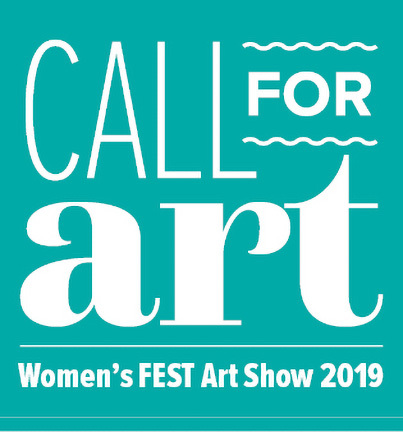 Artists are invited to submit up to three works for consideration for display and sale at the Women’s FEST Art Show 2019, April 6-28. Paintings, photographs, multimedia art, and smaller 3-D works can be submitted. Submission info and guidelines. In the Wake, by Broadway playwright Lisa Kron, is a funny, passionate, and ultimately searing script that illuminates assumptions that lie at the heart of the American character. CAMP Rehoboth Presents In The Wake (37 Baltimore Ave.; 302-227-5620) by Broadway playwright Lisa Kron and directed by Kay Cummings. Performances February 22, 23 at 8pm and Feb 24 at 2pm. Tickets $25 available on camprehoboth.com. CAMP Rehoboth Chorus (37 Baltimore Ave.; 302-227-5620) rocks your world with “Seasons of Love,” celebrating its first decade of music. Concert at Epworth United Methodist Church (19285 Holland Glade Road)—February 15-17. This retrospective concert features the 90-voice chorus—accompanied by the David Zipse Orchestra—performing medleys of Broadway hits, spirituals, rock, disco, love songs, a patriotic salute, and dueling Elvises! Capital Ringers presents “Oh, the Places You’ll Go”—a journey round the world, here, there, and everywhere! Multiple dates and venues, Saturday, April 3-Sunday, May 5. Check website for locations. Clear Space Theatre Company (20 Baltimore Avenue; 302-227-2270) is featuring a stage adaptation of the 1967 film The Graduate with an all-star cast—through February 10. The Claire Booth Luce classic, The Women, will be presented as a fundraiser for the Fund for Women and the Clear Space Scholarship Fund—March 2 and 3. Meredith Willson’s The Music Man opens March 15. Coastal Concerts (in residence at Bethel UMC Hall; Fourth and Market Streets in Lewes; 888-212-6458) has three awe-inspiring concerts remaining in their season—Grammy Award winner and exceptional classical guitarist David Russell (February 23; 2p.m. ); pianist Orion Weiss (March 16; 7p.m. ); and “Time for Three” with violinists Nick Kendall and Charles Yang and Ranaan Meyer on the double bass (April 13; 8p.m.). Mid-Atlantic Symphony (P. O. Box 3381; Easton, MD 21601; 888-846-8600) presents their spring concert featuring Schubert’s Symphony No. 4, and a performance by their Young Artist Competition winner, under the baton of guest conductor Andrews Sill. Possum Point Players (441 Old Laurel Road in Georgetown; 302-856-4560) has a terrific one-night only fundraiser—"Let It Go!”—featuring dozens of songs that won Oscars and a cast of the area’s best singers (and me)—February 23 (8p.m.). Opening April 5—the Pulitzer Prize-winning Broadway comedy, How to Succeed in Business Without Really Trying. The Milton Theater (110 Union St. in Milton; 302-684-3038) “keeps Milton weird”! February Events: 8: The Power of Laughter: Stand-Up Comedy Night; 9: Forever Tina; 10: Gospel Brunch; 14: When Harry Met Sally; 15: Peek-a-Boo Revue (18+ only); 16: Oh, Boy! Buddy Holly Tribute; 17: A Broad’s Way: It’s a Man’s World; 21: Eternal Sunshine of the Spotless Mind; 22: Psychic Medium Deanna Fitzpatrick; 23: Eddie Bruce Celebrates Tony Bennett; 24: Beauty & the Beast—dress-up and sing-along; 28: Marshall. March Events: 1: Homecoming Kings: Stand-Up Comedy; 2: Black Light Mardi Gras Dance Party with Universal Funk Order; 3: Hot Sauce Band; 7: Blue Hawaii—Storm of ’62 Party; 8: Games with Magnolia Applebottom; 9: Fellow Travelers—"Celebrating the Luck of the Irish”; 10: St. Patrick’s Parade Day Free Concerts; 10: Damn the Torpedoes—Tom Petty Tribute; 14: McQueen; 15: Welcome to the Land of Ozz—The Ultimate Ozzy Osborne Experience. Rehoboth Beach Convention Center (229 Rehoboth Ave.) brings A. R. Gurney’s Love Letters to our fair city starring Meredith Baxter and Michael Gross of TV’s Family Ties fame—February 14 (8p.m.). For tickets call 800-514-3849. Rehoboth Concert Band will be performing “Tapestry”—a fundraiser for the Cape Henlopen Senior Center featuring guest vocalists Jerry Birl and Lorraine Steinhoff—March 17 (3p.m.) at Epworth UMC (19285 Holland Glade Rd.). Rehoboth Beach Film Society (17701 Dartmouth Drive, Lewes; 302-313-4032) screens the best new independent films at their Cinema Art Theatre. Met Live in HD: Bizet’s Carmen—February 9, 11, 12. 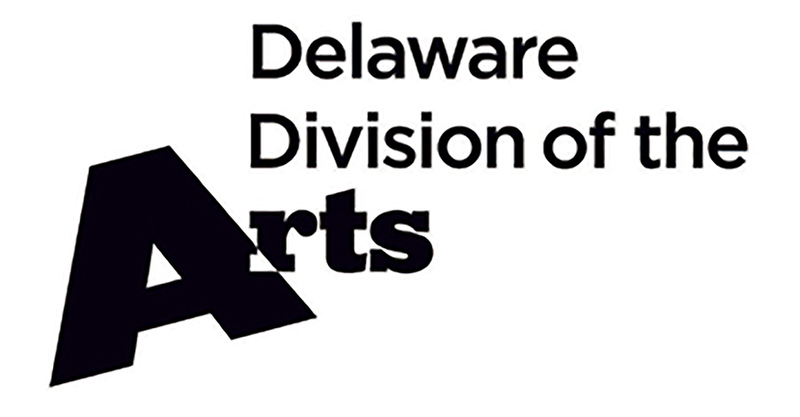 Southern Delaware Chorale (P.O. 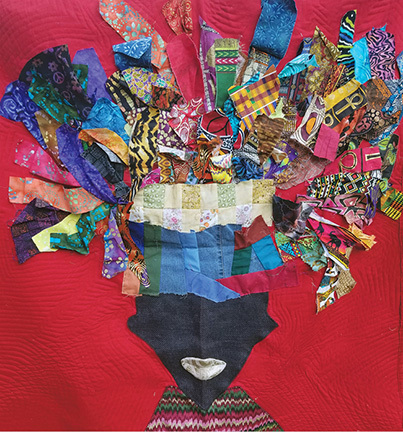 Box 444; 302-260-7022) presents “A Choral Patchwork” in honor of Black History Month under the direction of Dr. Colin Armstrong, with guest vocalists Cantabile Women’s Chorus, Sussex Tech’s Bella Voce, and VOCE Men’s Quartet—February 24 (3p.m.) at Epworth United Methodist Church (19285 Holland Glade Road). Anna Hazzard Museum (17 Christian Street; 302-226-1119) is a captivating look at the early history of Rehoboth Beach as a religious retreat. The museum is housed in one of the original “tent” houses from Rehoboth's 1870s camp-meeting era and is named for former owner and civic leader, Anna Hazzard. The Brush Factory on Kings (830 Kings Highway, Lewes; 302-745-2229) an artist/craft co-op: furniture, art, clothing, antiques, sea glass, vintage garden, and more. It’s easy to spend hours wandering through this great co-op. Heidi Lowe Gallery (328 Rehoboth Avenue; 302-227-9203) has beautiful and unique hand-made pieces (including rings!) and offers classes in jewelry making—such as her Mandala Pendant class February 12, 19, 26, and March 5 (6-9 p.m.). 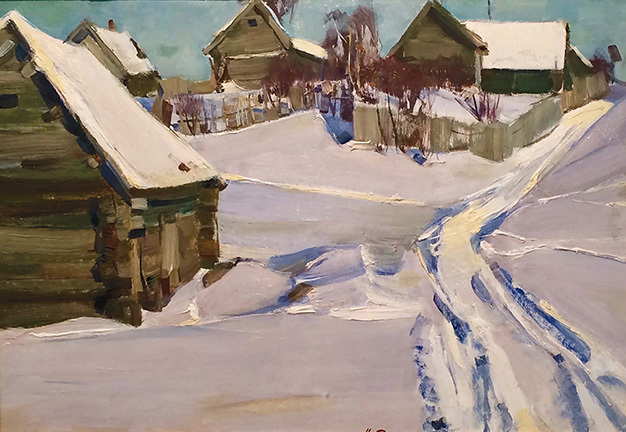 Peninsula Gallery (520 E. Savannah Road, Lewes; 302-645-0551) opens an exhibition of Russian Impressionist work from the Cold War Era (1930-1980) on Feb 16 from 5-7 p.m. Show will continue until March 30. Rehoboth Art League (12 Dodds Lane, Henlopen Acres; 302-227-8408) has a fantastic schedule of classes—pottery to pen and ink technique to jewelry making…something for everyone. Current exhibitions: Non-juried Members’ Exhibition in the Members’ Sales Gallery—through March 12; Recent Acquisitions: The Permanent Collection—through June 9; Animal Farm II: Works by Laura Hickman and Wayne Weeks—through April 7. Rehoboth Beach Museum (511 Rehoboth Avenue at the Canal; 302-227-7310) is open and looking better than ever! Their newly-renovated second floor is complete with new exhibits for you to enjoy, plus they always have great walking tours of the area, and fascinating lectures. The Studio on 24 (20231 John J. Williams Highway, Lewes; 302-644-4424) is open by appointment only for custom made glassware with owner and artisan Deb Appleby. 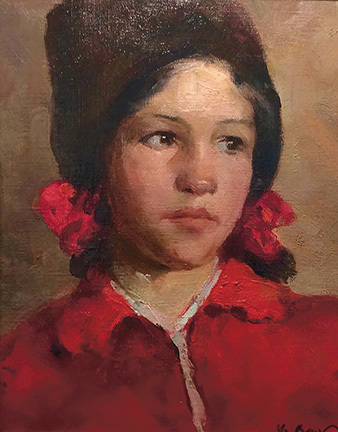 Images: Portrait of a Young Woman in a Hat, Russian Impressionist painting at Peninsula Gallery; at the CAMP Rehoboth Gallery, My Life Matters, by Donna Blakey; Quilt by Linda Morman, at the CAMP Rehoboth Gallery; Winter Time, Russian Impressionist painting at Peninsula Gallery.